“Sincere inquiry always sparks our movement towards truth. 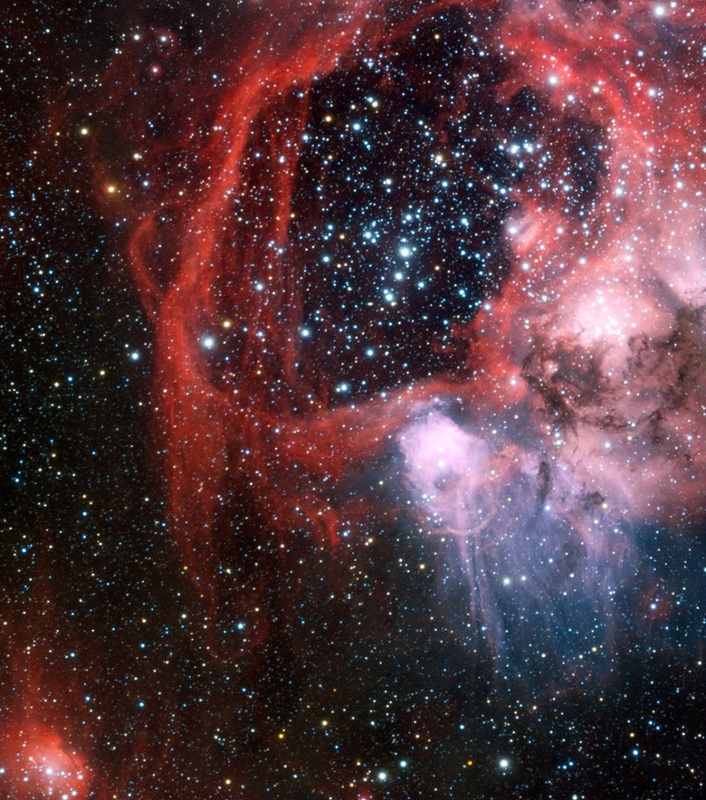 Deep questions signal the manifestation of the very energy through which we outgrow ourselves.” — from the Introduction. 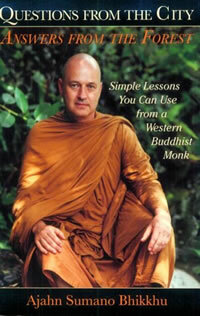 Born in Chicago, a law school graduate and real estate professional, Ajahn Sumano abandoned his comfortable American lifestyle for the begging bowl and simple cave home of an ordained Buddhist monk in the tradition of the Thai forest meditation masters. In 1994-95, he conducted a series of question and answer evenings at a guest house in Thailand’s Kowyai National Park with English-speaking tourists eager to meet a Western Buddhist monk. The heartfelt questions of these “city” people and the clear and penetrating answers Sumano gave from his “forest” perspective form the basis of this remarkable book. Written on a battered, battery-powered laptop in his meditation cave, Sumano’s enchanting personal story and his refreshingly down-to-earth blend of American sensibility and Eastern practice will fascinate newcomers to Buddhist ideas as well as experienced practitioners. Listen to Ajhan Sumano talking about Buddha or King Sithata before he ordains and enlighten. 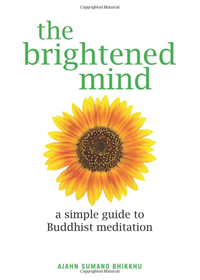 Sumano Bikkhu’s The Brightened Mind is a most precious little jewel, introducing the spiritual armchair traveler to the wonders of the Universal Mind as taught in the Buddhist meditative tradition. It is at once simple yet profound, pleasurable yet transformative, and practical yet mystical. It forces us to ask the most important of questions, and also points in the direction of the answers. I can only recommend it to anyone interested in inner freedom and enlightenment. It is a wonderful little book.